Rostrum/Atlantic Records recording artist Wiz Khalifa is proud to announce that his debut album, Rolling Papers, has been officially RIAA-certified gold. What’s more, the rapper’s second official single, Roll Up, is now certified platinum after receiving gold certification only a couple of weeks prior. These two new accolades join the already 3x platinum single, Black And Yellow. 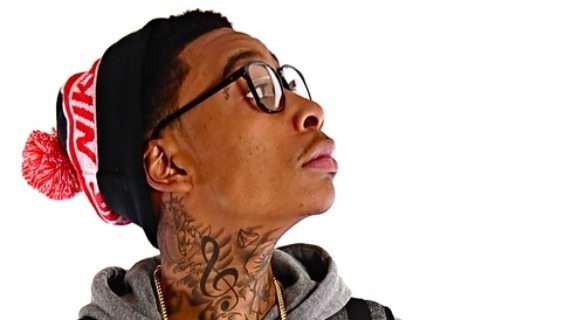 Known for his great presence on the road, Wiz recently kicked off his Rolling Papers Tour with a much-buzzed-about set at last week’s Bonnaroo Festival in Manchester, TN. The nationwide tour will see the Pittsburgh MC performing at venues nationwide, concluding with a recently added homecoming show at Pittsburgh’s Trib Total Media Amphitheatre on August 6th. The HTC EVO 3D Is HERE!